What will take the title of super saloon of the year 2016? Super saloons bridge the gap between madcap hot hatch and full blown supercar, mixing dollops of practicality, power and performance together liberally for the driver that wants it all from their motor. They have a barely contained fury bubbling under their surface which grants them undeniable coolness, and making them a very important category in our car of the year countdown. The three cars vying for the top spot in this countdown represent three entirely different ways of comprehending what a saloon can be – all have their strong points, but I’m confident you’ll agree with our choice in this one. 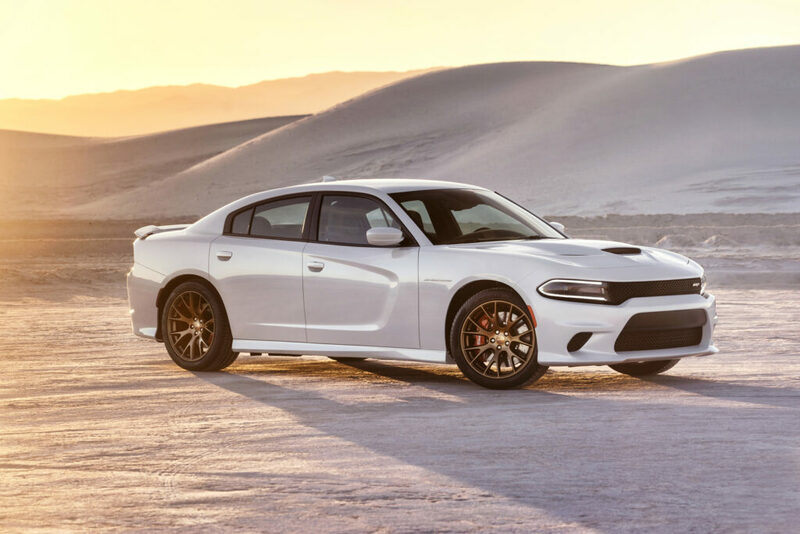 You can’t help but smile just at the thought of a big saloon car with a 707bhp Hemi V8. All 6.2-litres of its capacity snarl and bark in the face of rising fuel costs – though it’s hard to tell whether this thing turns petrol or rear tyre rubber into smoke at a faster rate. Supposedly tuned to be more civilized than the Challenger – though that’s not a word I’d use here to describe this monster – this Hellcat can gurgle and roar and spit flames with the rest of the bad crowd. It’s hard to see the Hellcat Charger alongside the other two saloons in our super shoot-out, but it muscled its way in to our hearts anyway. And with a price of around $65k, there’s nothing even close to this sort of pace for the money. Sure, weighing over two tonnes means it’s hardly what you’d call elegant, and inside for all Dodge’s attempts to add prestige touches to the cabin it’s not what you’d call luxurious either, but with this much character you don’t need any luxury garnish or refinement to put a big smile on your face. Compared with the sledgehammer style of the Hellcat, the E63 seems like a sharpened, precision scalpel, sterile and wielded clinically by a doctor to perform a highly delicate procedure. On the outside, it is refined and crisp, like a very expensive, sensible suit, a much more mature proposition than the Charger’s wayward ways. Push the right buttons though, and the 4-litre biturbo V8 can sing and dance with the best of them. Germany has always been ruthlessly talented at producing sleek, sophisticated uber-saloons with just enough bite to give them that slightly unhinged edge. This is Dr. Hannibal Lecter – highly educated, well mannered and perfectly civilized when it wants to be, but cross it or turn your back at the wrong moment and it is entirely capable of rearranging your insides. 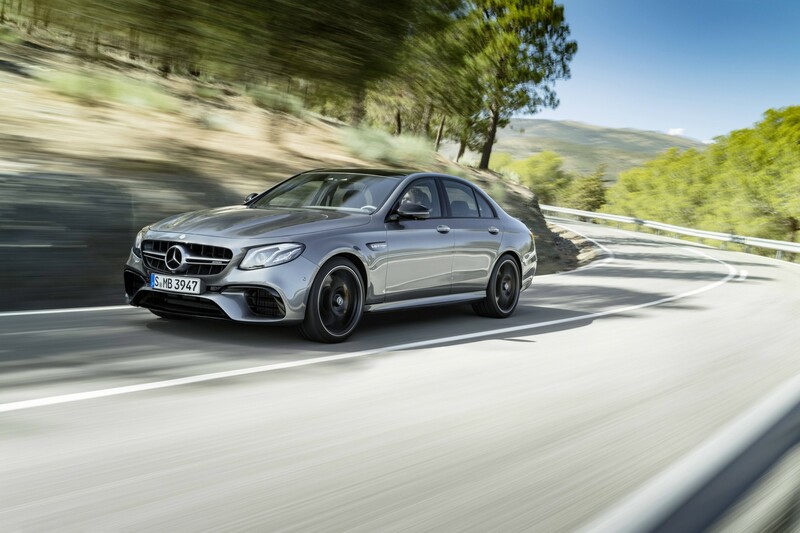 In glorious S iteration, power is up to 604bhp and 627 lb ft of torque, meaning this 4-door saloon will hit 62mph from a standstill in 3.4 seconds – proper supercar territory. Intelligent 4Matic+ all-wheel-drive means it’ll hang on in the corners too, though at the touch of a button this juggernaut will oblige all your maniacal, tyre-shredding fantasies thanks to a drift mode setting that sends all the power through the back wheels. Four wheels and four doors are what link the trio vying for Supercars.net’s super saloon of the year 2016, but can the car with the four-leafed-clover on its wings steal the show? Alfa Romeo’s stunning return to form has been very long overdue. Until now we’ve made do with false Gods like the under-damped 12C Competizione and the so-close-yet-so-far 4C of recent years; both absolutely beautiful cars, which promised so much yet delivered far below what was hoped. 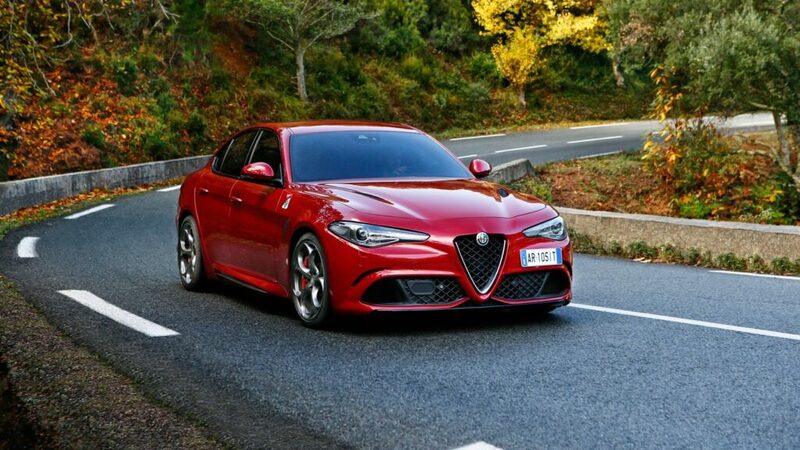 It was beginning to seem like expectations were set too high, like Alfa Romeo was a carmaker viewed through rose-tinted spectacles for too long – until the Giulia Quadrifoglio was announced. The 2.9-litre V6, which propels the gorgeous crimson body from 0-60 in 3.9 seconds and on to over 190mph, has roots that can be traced back to Ferrari. 503bhp and 443 lb ft travel through an 8-speed ZF automatic or – for all you lucky enough to live where left-hand-drive is the norm – a 6-speed manual gearbox to the rear wheels. But the Quadrifoglio manages that neat trick only certain cars do, transcending performance figures to give an absolute sense of occasion. 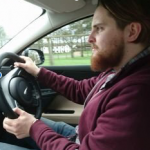 A sonorous soundtrack to accompany a truly fabulous car from a company that for recent years has been mostly in the business of producing small hatchbacks. Bravo, bravissimo, Alfa Romeo. 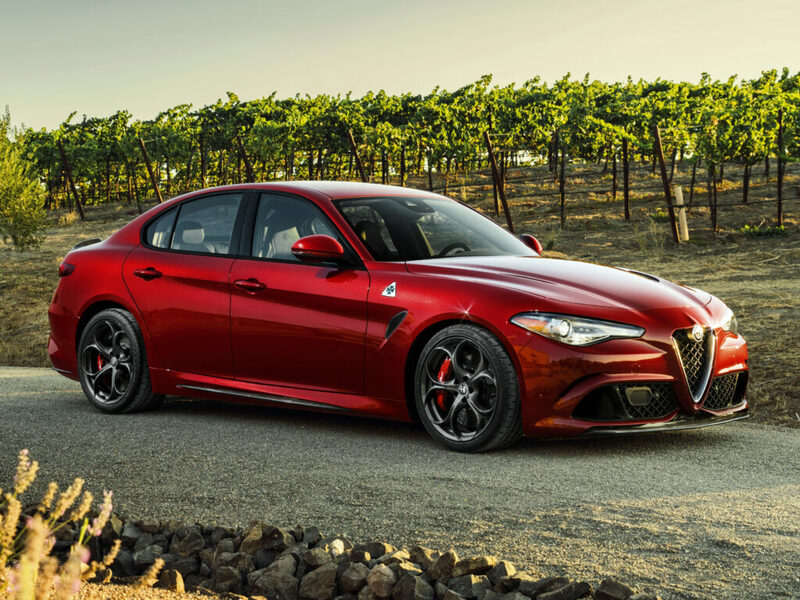 How could we not pick the Alfa Romeo Giulia Quadrifoglio as the Supercars.net super saloon of the year 2016? This category has perhaps the most diverse selection of different expressions of what a car can be of any in our 2016 CotY competition, and despite having the least power out of the three, the Alfa Romeo is the one we’d pick any day. Which of these super saloons would you have? Let us know in the comments below or by getting in touch on Twitter!